If you suffer redness you are going to love these facial flushing remedies that are all natural and will get your confidence back. Be sure to watch the video too. 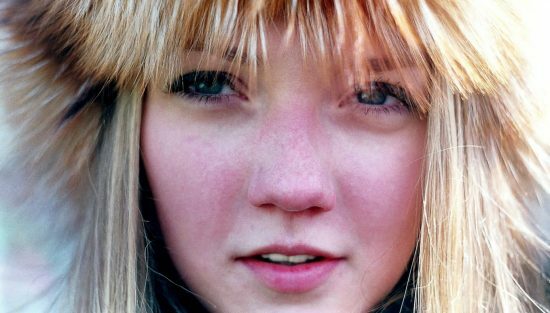 If you suffer from redness on your face (Rosacea), don’t despair! You don’t need expensive skin care or special cosmetics. 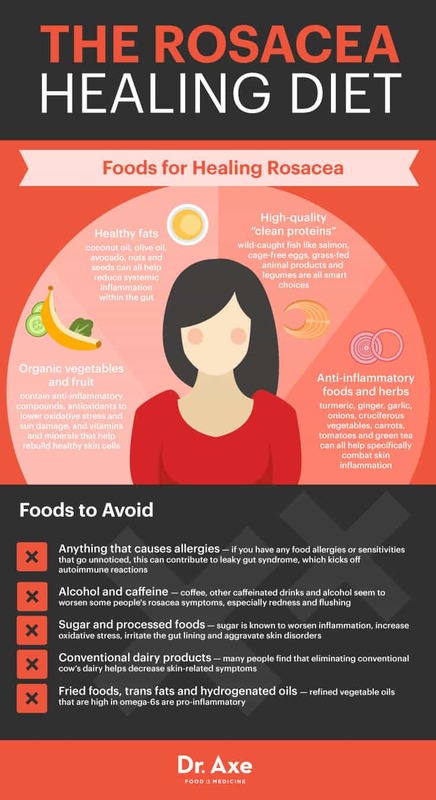 Mandy Wong has created this easy to follow guide for you on the eight best ways to cure Rosacea and she’s done an amazing job. They’re all natural, simple to make and also very inexpensive. There are a number of issues that may cause facial redness. We have rounded up some information that will come in very handy. We also have a video showing how to disguise redness with makeup. In most cases, studies indicate that main factors causing facial redness include emotional issues, environment, fever, skin infections among others. It’s often temporary, but you can’t sit and wait for it to end! 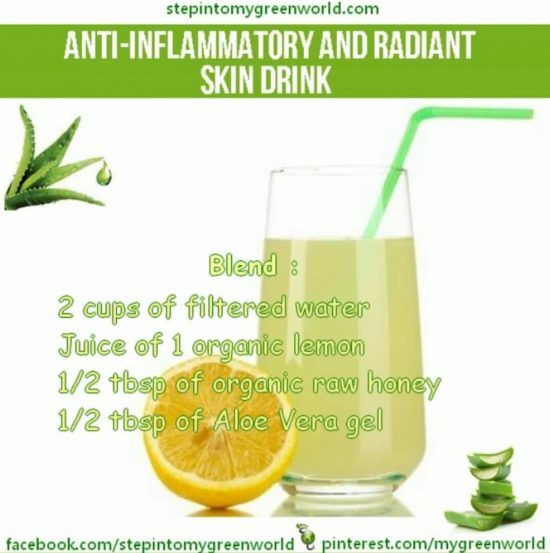 You’ll find at least one of Mandy’s remedies works well using ingredients in your pantry. The remedies include Yogurt, Honey, Aloe Vera, Baking Soda, Coconut Oil, Mint Tea, Cucumber Masks – even a humble Potato can work wonders! Washing your face correctly is important too – take care to use alcohol-free products only. Yogurt is a common dairy product in most homes. We have established that it contains several enzymes and probiotics which are quite useful in healing the skin. Plain yogurt is quite effective as a remedy for facial redness and will trigger speedy recovery.Start by washing your hands thoroughly so as to prevent further infection on the skin. Once your hands are clean, wash the face with some warm water so as to remove any impurities. Dry the face, and then use your hands to apply the yogurt to the affected areas. Let it stay on your face for about 5 minutes and then wash it off with cold water. Repeat this process at least every single night, before going to bed until you see noticeable changes. Honey is known to have antioxidants and is also rich in anti-inflammatory properties. With these elements, it is considered to be a great antibacterial and you can use it to treat facial redness. If you have honey in your house, you need to use it as a facial cleanser every day until the redness is cured. Mandy recommends applying it at night, just before going to bed. Wash your face and once you dry it, apply a honey mask on the affected areas and after about 10 minutes wash it off. This should treat facial redness without much of a problem. In most of her remedies, she will always advocate Aloe Vera, due to the rich minerals and nutrients that herb contains. Some of the elements it contains are tannins and selenium, which will be effective in curing facial redness. Aloe Vera will also replenish the skin and restore its natural pH. Start by cleaning your face and drying it with a towel. Then take the Aloe Vera Leaf and cut it with a knife so as to expose the gelatinous part. Apply the gel that is in the leaf and let it be absorbed by the skin until it dries off. Wash it off with cold water and you can repeat this, a number of times in a day to speed up the recovery. We have included this helpful video to show you what to use and how to apply it. The Vlogger, Ashleigh, suggests starting with a Primer and also using a green concealer. Coconut oil is another effective remedy for facial redness. This is mainly attributable to the fact that it locks in moisture and this will keep the skin well hydrated. It is a natural emollient and as such your face will hardly become dry. If you have facial redness, use coconut oil to treat it since the antiviral and antimicrobial components will replenish your skin. Apply it at night and leave it through the night to make the most of it. In a matter of days, your skin will be back to normal. 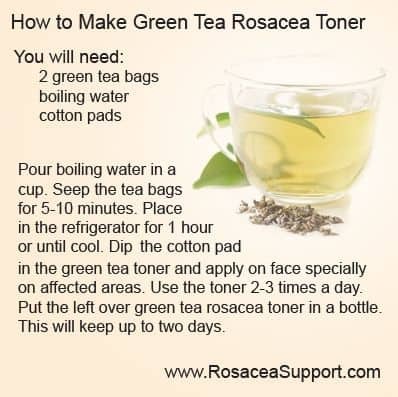 Herbal tea is another remedy that works for facial redness. Mint is the property that you should look for since it has elements that will heal your skin. You’ll need Green Tea and a handful of fresh Mint Leaves for this remedy. Pour one quart of water into a boiling bowl and bring it to boil. Take 3 cups of fresh mint leaves and 5 tea bags of green tea and pour them in a pan. Add the boiling water and cover with a lid for about an hour. Sieve the liquid and chill it. Use a cotton pad to apply the chilled solution to the affected areas. You may also pour the mixture directly to the redness spots. Make it a habit to repeat this at least twice a day. Mandy was a Traditional Chinese Medicine doctor in China. She always loves to share useful home remedies to help people who are suffering from different diseases. In addition, She is also good at cooking different Chinese food. She has lots of amazing recipes and home remedies on her website. You can find the links at the end of our post. 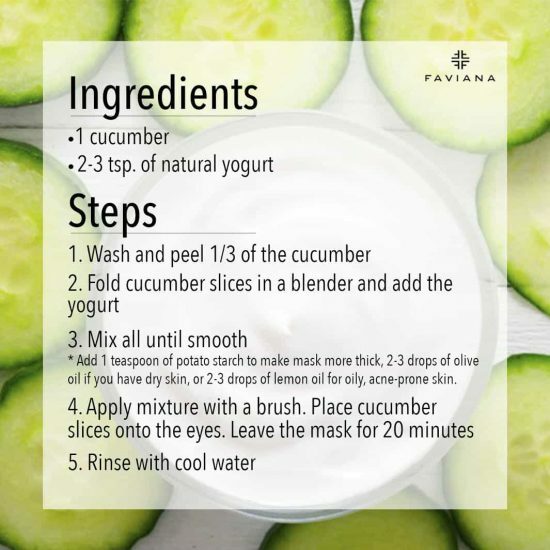 Cucumber Masks are one of the easiest remedies for facial redness. Cucumbers come with a high level of minerals, vitamins and water and this makes them ideal for soothing the skin. Slice the cucumber and freeze it for a few minutes, just to make it cold, not frozen. Clean your face and place the chilled cucumber slices on the affected areas and leave them for about 15 minutes. Do not rub them on the skin as they may cause irritation. The humble Potato is also an effective remedy for facial redness and it will provide a soothing effect that will alleviate skin irritation due to this condition. Simply cut the potato into slices and rub the slices on the affected areas. This should work effectively to treat your skin. The other option would be grinding the potatoes and making some paste, which you will rub gently on the red patches on your face. Let the paste dry on your face before washing it off with clean water. There is also an option of soothing the skin with a potato paste that is tied in a piece of cloth. Whichever option you choose, please make sure that you repeat the process at least 3 -4 times daily. Proper hygiene is a remedy in itself for facial redness. The skin is quite sensitive and most of the products that we use for beauty tend to affect the skin. A great way to solve this problem is by washing the face, at least twice a day. Also, make a habit of using products that are alcohol-free on your face. It is advisable to avoid scratching or scrubbing your face. It’s important to know what your Rosacea ‘triggers’ are. They can vary in occurrence and severity for different people. Emotional stress and hot weather are the 2 most common triggers. Exercising too strenuously, hot baths and alcohol consumption also play a part. As you can see by the infographic, eliminating cow dairy has also been known to decrease skin related symptoms. It’s also interesting to note that in a small pilot study published as a letter in the Journal of the American Academy of Dermatology, about half of 63 rosacea patients also had small intestinal bacteria overgrowth, or SIBO. After localized treatment for SIBO, 46 percent of these patients reported marked improvement of their rosacea symptoms. Mandy Wong of ikeephealthy.com was a Traditional Chinese Medicine doctor in China. We thank her for contributing this very informative post to our site. For further information consider consulting your Naturopath or Dermatologist.